Bootstrap 3.3.7 , Latest Font awesome and updated jQuery plugins. 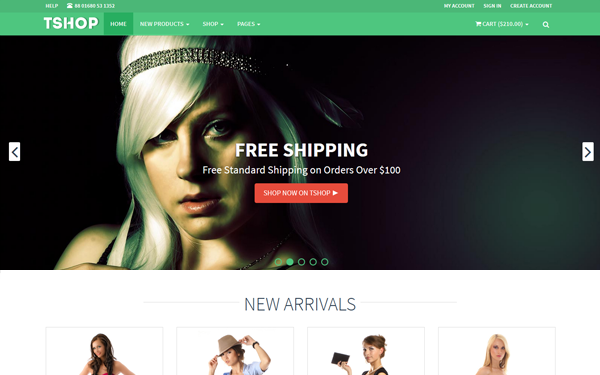 TSHOP is a modern responsive HTML5 CSS3 eCommerce website template made with Bootstrap 3.3.4. Compatible with all modern browsers and usable with any device.